Is your LinkedIn profile a little neglected? Do you look at other profiles with envy? Here, I’ll help you spruce up one of the most important parts of your profile – the summary. LinkedIn recently announced that it now has more than half a billion users. But every day on that platform, the world’s largest professional network, I see extremely accomplished people with extremely sad profile summaries. Or no summary at all. They don’t have time. They think they don’t need to right now. But there’s a reason LinkedIn keeps growing. help you land your dream job (one research report shows 87% of recruiters use LinkedIn to find candidates). 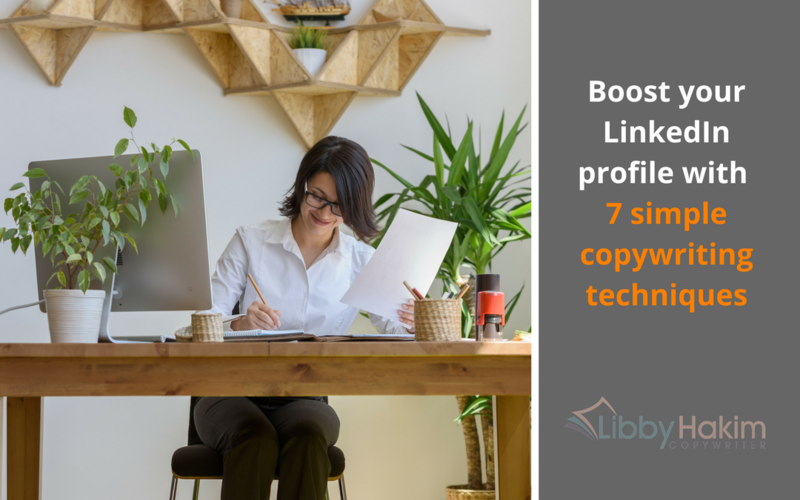 So, if you haven’t paid much attention to your Linkedin profile, it may be time to spruce it up. And the summary is a great place to start. I know it’s not much fun – writing smaller snapshots or summaries is often much harder than writing huge chunks of content. However, my experience as a copywriter and career feature writer, means I have plenty of insights and ideas about writing your summary. I’m going to make it easy for you. TIP: Set aside 15–30 minutes each day for the next week and work through each of the seven techniques in order. Treat yourself to something nice during that time (coffee, cupcake… whatever you like!) so you’ll look forward to it each day. You can do it. It’s intimidating to start a writing project with a blank screen or a poor draft. But you have to just start. That doesn’t mean sitting down in front of your keyboard and waiting for magic to happen. You need to do a little groundwork, a little research. It’s tempting to skip this stage when you’re writing about yourself because, hey, you know yourself, don’t you? Perhaps not as well as you think. This lack or abundance of confidence gives you a distorted view of yourself which doesn’t translate well when writing a profile. Put down your pen. Step away from the keyboard. Let’s build an accurate picture of who you are, what you do and what you’re good at. Pull out your most recent profile, CV and bio. These are just a starting point. Do not – I repeat DO NOT – even think about regurgitating any of this in your profile summary. Take the Myer-Briggs personality test and read your personality profile. Which parts resonate? How does this highlight your career strengths? Ask your friends to describe you in 3 words. If you’re feeling brave, ask them to make at least one word something that’s a weakness. Any surprises? This is a classic rule of copywriting, particularly in the advertising world. Products and services don’t sell because of their features but rather their benefits. It’s the benefits you need to communicate. How do you distinguish these two things? When you read these taglines, you’re immediately aware of not just what the product or service does but, more importantly, how it might benefit you. Traditionally, professionals are uncomfortable with “selling” themselves and steer clear of ANYTHING even remotely sales-y. They focus, instead, on their experience and qualifications. But clients really aren’t excited by your qualifications, credentials and expertise. They want you to have these things, of course, but don’t lead your profile with these. Instead, immediately grab their attention by telling them how you, in particular, are able to make their life or job easier or better in some way? How can you help them? Write down 3–5 ways you help clients in your work and a few words about why you, in particular, are particularly suited to helping them. You open up LinkedIn and there it is, the message that makes your day, week and year. Is it an enquiry from your dream client? Are you being head hunted for the job you hardly dare to even dream about? It’s time to stop thinking about yourself. Take a moment to think about this message that stops you in your tracks. Write down as many details that come to mind about the person who sends you this message. Who are they? What job role are they in? What problems do they have in performing their role? What are their values and interests? Also write a few brief points about what their message says. Why do this? When we write about ourselves, we’re often blinded by the light. We (reluctantly) shine the spotlight on ourselves. But what we really should be doing is keeping our audience at the front of our minds. Who do we want our Linkedin Profile to speak to? Who do we want to notice us? What do they want to know about us? What are their problems that we can solve? This copywriting technique is all about getting to know your audience, getting inside their heads, and keeping them in mind when you write. So, you’re a great lawyer. Or broker. Or architect. Awesome! But you need to do more than just tell people you’re great. You need to show them you’re great. This is where testimonials, completed projects and career stories come in. Show people that you’re great by weaving these things into your profile summary. Write down all the evidence you have that you’re great at your job or that you’re uniquely experienced to help. Testimonials are another wonderful way to show off without feeling too awkward. Clear, concise writing is good writing. However, good writing never starts out that way. In this step, you have the opportunity to ramble and waffle a bit (though try to stick to about 400 words maximum, you’re not writing a novel). Let’s get down that first draft of your profile summary. What makes you stand out (your unique selling point) and what evidence you have to support this? I suggest writing in first person (I am…). A LinkedIn profile is your profile, managed by you. Don’t edit as you go, just get it all down and then file your words away for the next step. The maximum number of words LinkedIn allows in the summary section is about 300, but I recommend aiming for just 100-200 words. You don’t need details – this is a summary, summarise things! Remove unnecessary words – “that”, “very”, “really”, “just”, “actually”, “basically” and adjectives are often not needed. Now, start re-arranging your summary so you have a clear start, middle and ending, and include section headings where appropriate. Use short paragraphs. Bullets and white space can also be used to break up the content and offer a more engaging reading experience. It’s not just about the words – make sure your profile looks visually appealing, too. A final word on tone. Professionals and experts often find it hard to let go of the detail and “industry speak”. But your audience just wants to know how you can help them and if they will be able to work well with you. There’s a clear trend towards a direct, active and relaxed tone, even in traditional professions like law. Use a tool like the Hemingway app if you’re having trouble breaking away from passive, formal language.  One of the most common omissions in profile-related copy is the call to action (CTA). What would you like people to do after reading your LinkedIn profile summary? People aren’t mind readers, spell it out. Outline a specific course of action the reader can follow. “I’m available to write on a freelance or contract basis. I can also present workplace blogging and writing workshops. How did you go? I hope this post gives you the confidence to go in and give that tired (or missing) LinkedIn profile summary a makeover. 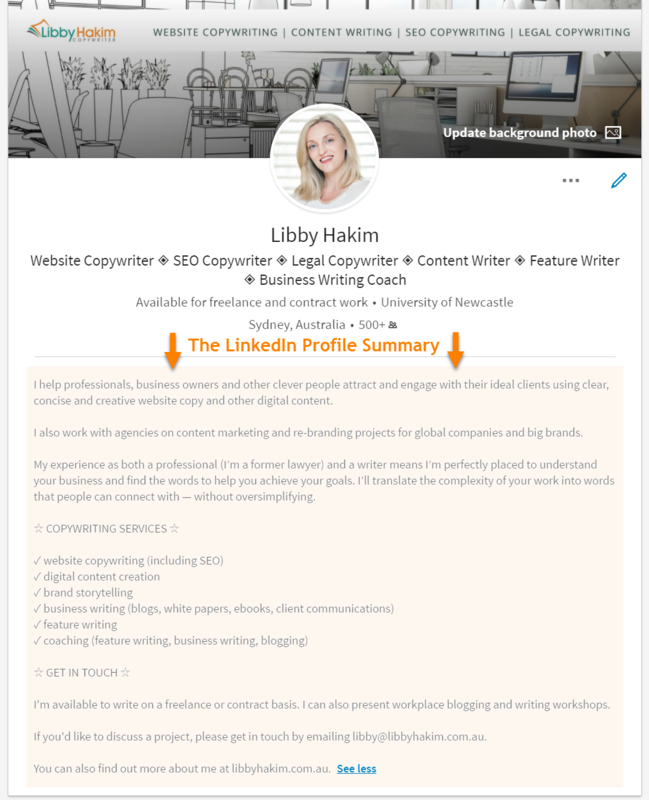 Do you have a question or other tips on writing a LinkedIn profile summary? I’d love to hear from you in the comments below. Great tips Libby. I will definitely use them. Happy to hear you found the post useful, Mary!